Mini workshop: "What's your Library story?" over to the blog tab to have a look. Mundy-Taylor, J. (2015). 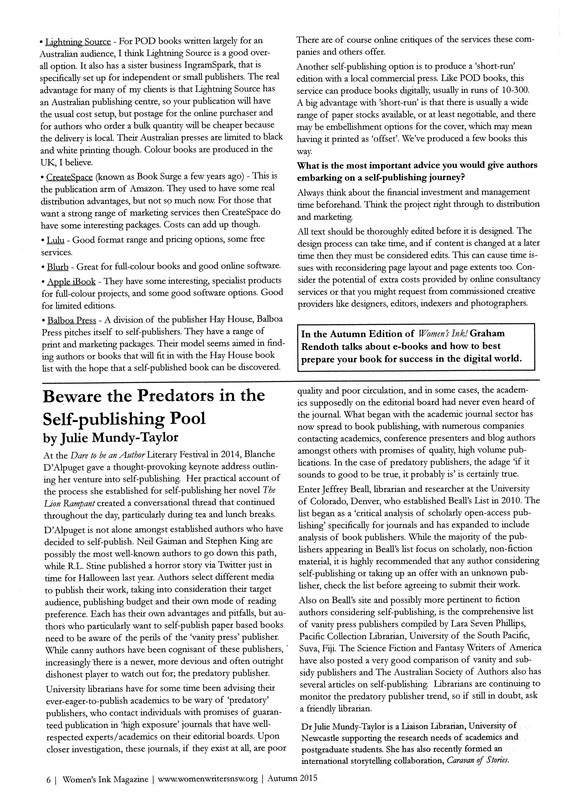 Beware the predators in the self-publishing pool. Women's Ink Magazine, Autumn, 6.